Stock prices move fast, but you can still name your price. 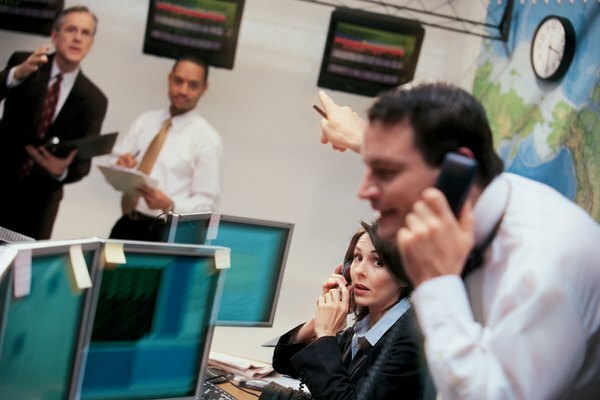 Traders and computerized programs bid on stocks every second of the trading day. There is no one set price for a stock. Prices change constantly. You might think it's impossible to name a price in advance when you want to buy a stock. But actually you can use some techniques to get very close to the price you want. If you place what is called a "market order," the moment your order goes to the stock exchange, you'll pay the share price that the next seller offers. This can be treacherous. If someone's selling for a much higher price than you anticipated, you can end up paying more for your stock than you wanted to. When you place a limit order, you set the price that you want. Your order won't be filled if the price is higher than your limit. You might even get a better price than the limit you set. One technique for using limit orders is to place your limit 1 to 2 percent below the last known price for the stock. If the price drops to your limit, your order will be executed. If that was a temporary drop and the stock bounces back to where it was, you've made an instant profit. You can place a buy order that doesn't become active until the stock hits a certain price. After it hits that price, you can limit how much you will pay for it. This is called a stop-limit order. You can use this when you're waiting for a stock to drop low enough to make it a bargain. For example, if you think a stock would be a good buy when it hits $20, you can place a stop-limit order with the stop at $20 and the limit at $20.10. If the stock drops to $20, your order will become active and you will get the next price that's less than your limit of $20.10. Note that you can miss an opportunity this way. The stock could drop to your stop price and zoom back up so quickly that it goes higher than the limit you set for buying it. To avoid missing a buying opportunity, you can place a stop order. If the stock drops to your stop price, your order becomes active and you get the next price the seller offers. You're taking a chance that the next price will be somewhere in the neighborhood of your stop price, but at least your purchase will go through. For example, if you set a buy order at a stop of $20, and the stock drops to that price, you might buy from the next seller who offers the stock at $20.20. Do You Sell Stocks When They Hit a Resistance? What Is the Difference Between Bid Size & Ask Size?